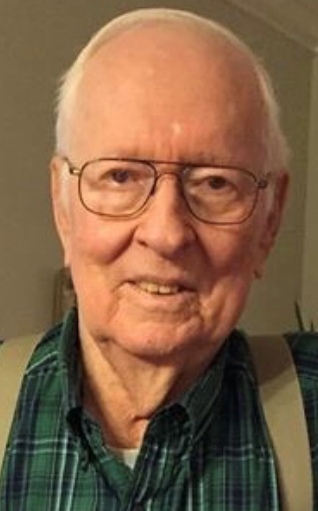 Harvey Dean Gray passed away on Friday, March 29, 2019. He was 85 years old. Harvey was born in Pelahatchie, MS, but has lived in Learned for 21 years. He was a member of the Utica Baptist Church, where he was a Deacon and a Sunday school director for 23 years. He retired from International Paper after 40 years. Harvey was also an avid fisherman and sports fan. He is preceded in death by his parents, Nannie Wade and Gladney Gray, his sister Barbara Measells, and his two sons in law, Don Jordan and Don Curtis. Harvey is survived by his wife, Mary Ellen Winstead Gray, of 66 years, his son Larry Gray(Margaret), his two daughters; Brenda Jordan, and Cheryl Curtis, his brother John R. Gray, his seven grandchildren and eleven great-grandchildren. A visitation will be held at Utica Baptist Church on Tuesday, April 2, 2019 at 9:00 am until the hour of service. The funeral service will immediately follow the visitation at 11:00 am. Burial will be at Utica Cemetery. Active pallbearers will include Deane Gray, Josh Jordan, Ricky Gray, Barry Gray, Wayne Jordan, Lamar Buntyn, and Bill Ferguson. Honorary pallbearers will include Dr. David Wheat, Dr. Alfredo Figueroa, Carroll Sojourner, Paul Box, Billy Wade, Colin Measells, Waverly Liles, and members of the Men's Bible Class. Rev. Jay Wesbrooks and Rev. Rocky Henriques will be officiating the service.